Where our devotion to extraordinary excellence in remodeling and service to our clients go hand in hand. 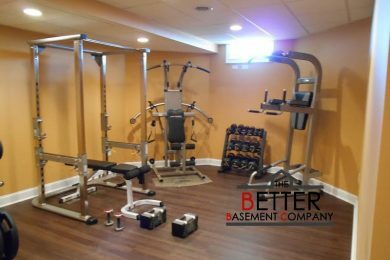 If you are planning to remodel your basement, kitchen, bathroom or another interior space in your home, The Better Basement Company is a one source, creative company interested in making your investment worthwhile. Quality performance is our prime goal. Turning your remodel into an asset is what we aspire to. We believe in doing the job right the first time every time. Your vision for your remodel is what we strive to attain and we work to exceed your expectations. As a general contractor we provide virtually every service pertaining to your project including design, plumbing, electric, HVAC, structural engineering and coordination. Our project management is driven by the desire to complete your project on time and on budget. In thirteen years we have accumulated a great number of clients who refer us again and again. Please refer to our Angie’s List to get a full understanding of how our clients feel about the work we have performed. Our company credo is “to go above and beyond.”We look forward to working with you. Whether your remodeling project runs from simple to sublime, The Better Basement Company has dedicated itself to a full range of remodeling jobs. Our philosophy is to begin with a wish list and work backward from there. Every project is as important to us as it is to you. You will never know what is affordable unless you dare to dream. By working through open communication and honest pricing we are confident that we will not break the bank but will arrive at a solution that will more than accommodate your goals. 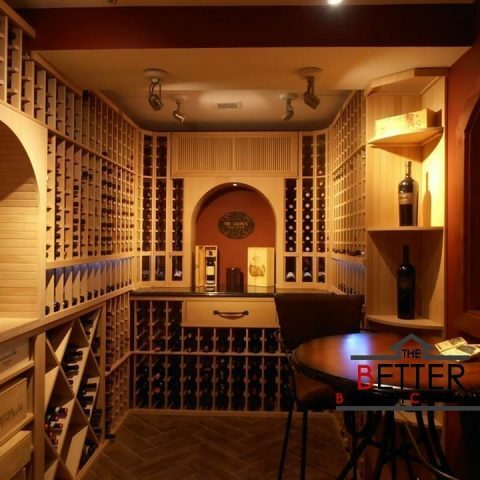 Welcome to the Better Basement Company, where our devotion to extraordinary excellence in remodeling and service to our clients go hand in hand. 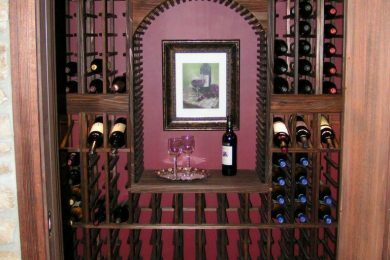 There are many reasons people consider remodeling their basements, from a growing family, too many toys in the living room, a need for a home office, a space to entertain and watch the big game on TV or room to workout. We find that very often our clients love living where they are but have outgrown the confines of the existing space they inhabit. Adding an addition is not always an answer as property setbacks, the cost of building new and a huge increase in property taxes makes this alternative either impossible or beyond the realm of their budget. This is where we come in. Your dark and unused basement is the footprint of your entire house and by remodeling it you will gain an extra 33% – 100% (in the case of a ranch), of livable space in your home. In addition, your property tax liability will only increase marginally, and the end result is a gorgeous coordinated space that you will be proud to show off to friends, family and neighbors. 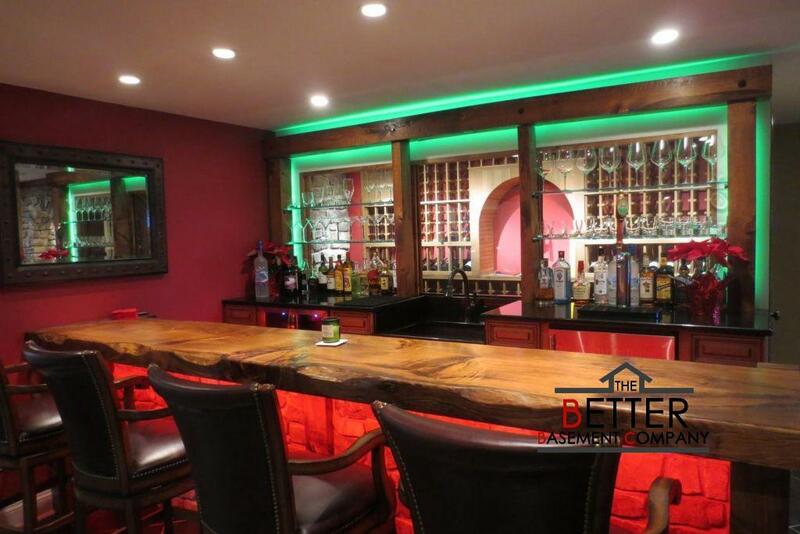 In fact, most of our clients comment that their newly remodeled basement is the nicest room in their home! The Better Basement Company takes the time to truly listen and help you determine how the space will be utilized. We carefully plan the use of your space and we are well versed in plumbing, electric, HVAC, basement dig outs to increase floor to ceiling heights, removal of lally columns to open up space where needed and waterproofing solutions. All of these issues are identified and discussed thoroughly with our homeowners on our first visit. This is the first step in planning full use of your space. We understand completely all of the current building codes and work with your town ordinances to meet all of their requirements. At this juncture we will map out your basement, carefully noting where all of your utilities preside including your furnace, water heater, water main, electric, sewer/septic line, ceiling height and duct work. Then we go to work designing your space so that ultimately you will see none of these utilities in your newly finished living space but will have easy access to all of them. All of our clients tell us at the end of a job that they never envisioned the final product. This process will take 1-2 hours on our first visit. The next stage is the budgeting process. The Better Basement Company will provide you with a full proposal within a few days and if need be will bring in our licensed plumber, electrician HVAC specialist, water management expert or structural engineer to consult on various issues, at no expense to you. This is done to provide you with expert advice on what can be accomplished with a bit of creativity by professionals who like to get it done right the first time. While we don’t ask homeowners what their budget is, we encourage them to freely engage their “wish list.” If the price we quote is too high for your immediate budget, The Better Basement Company will then work backwards to suggest ways that you can save money. This is a process that requires open and honest interaction to come to an affordable outcome for our homeowners. If we cannot meet your budget goals we will openly and honestly tell you that your expectations cannot be met at this time. A good example of this that has happened on many occasions is a homeowner desirous of installing a full or half bath but the cost will exceed their budget. We will design the bathroom into the floor plan and frame it for installation at a later date. Pre-planning will save our homeowner’s money down the road. The contract will spell out the terms of the work as per the proposal and the terms of payment. Upon signing the contract there will be a 10% deposit required to schedule the work. The second payment of 40% is required on the day the work begins (this is when all of the building materials are delivered). The third payment of 40% will be required after all of the rough-in inspections have been approved. The final payment of 10% is due at the conclusion of the “punch out” list and the homeowner is completely satisfied. 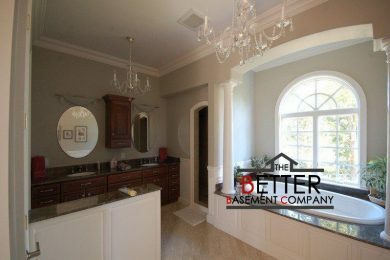 The Better Basement Company will provide the homeowner with a 3 day rescission option should you opt not to execute the project at this time. All permits, riser diagrams, studding/insulation/drywall installation drawings will be submitted by The Better Basement Company. Permit fees will be made by the homeowner. We combine quality workmanship, superior knowledge of craft and competitive pricing to provide you with service unmatched by our competitors. The Better Basement Company has the experience, personnel and resources to make the project run smoothly and on time. 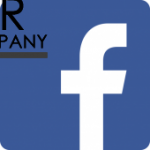 Throughout more than a decade in business, The Better Basement Company brings a lifetime of experience from our senior partners and staff. We understand that knowledge, supervision, experience, communication with our clients and punctuality make the difference between excellence and shoddy workmanship. Our craftsmen are trained to go the extra mile and that perfection is the goal. With the rising cost of residences and real-estate, finishing your basement provides perhaps the most inexpensive way to add additional, functioning living space and value to your home. As the market price of your home increases, an investment in your basement and the living space it provides can create substantial value – financially, socially, and culturally. 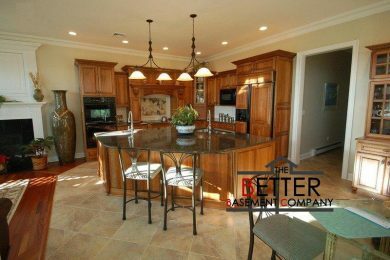 With over 13 years experience, The Better Basement Company has established itself as one of the smartest, most ethical and prestigious providers of construction focused basement renovation services and remodeling. Stellar results are the only option when working with The Better Basement Company. "You guys are great! I can't say enough about how professional your staff was from Dan & Dave when they so willingly made some last minute changes while they were framing out the basement to the Plumber with his suggestions on the bathroom sink placement. Your company lived up to every promise you made and built me a beautiful basement." 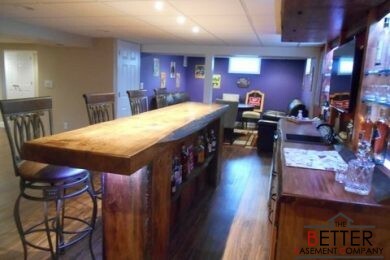 "I feel we made the best choice in finishing our basement. Easily the best home improvement contractor we have dealt with, your quality of work was great and your workers did everything in a timely matter. When you said it may become the most comfortable room in the house I didn’t quite believe you. But now I will have to agree with you. I have already given your card to two of my neighbors. Any time you would like to show my basement to a customer please feel free to call me." 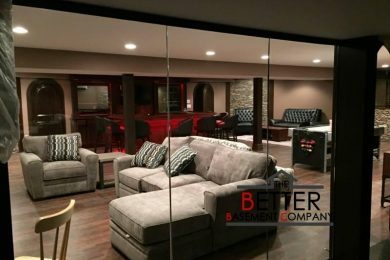 "I can't believe my basement looks this good, I love it I am recommending The Better Basement company to all of my friends and relatives."